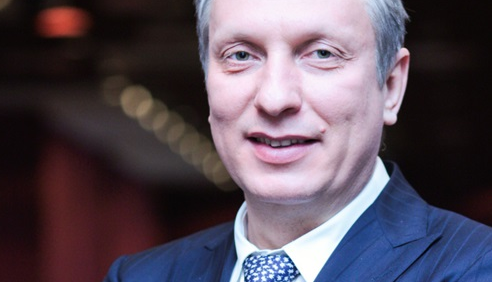 Veeam chief executive, Ratmir Timashev. The fourth quarter of 2014 marks the company's 28th consecutive quarter in which total bookings revenue has experienced double-digit growth. Other highlights included strong new license bookings of $US288 million, representing 33 per cent growth over the previous fiscal year, renewals bookings worth $US101 million, representing 66 per cent growth over the previous fiscal year and 44,000 new customers. It now has more than 135,000 total paid customers worldwide adding an average of 4000 new customers each month. The company has also reported strong growth in Cloud: The Veeam Cloud Provider (VCP) Program reported rental and subscription bookings growth of 106 per cent over the previous year. It now has nearly 6800 service and Cloud providers as part of the Veeam Cloud Provider (VCP) program worldwide, adding 2500 in 2014. It has also doubled Microsoft Hyper-V new license bookings: showing 105 per cent growth over the previous year. Veeam chief executive, Ratmir Timashev, said the release of Veeam Availability Suite v8 was more successful than anticipated, with more than a third of customers upgrading within the first 60 days. "It’s a testament to the strong demand for solutions that can deliver data center availability," he said. "With close to eight million virtual machines worldwide ensured by Veeam availability solutions, we are transforming the modern datacentre by bringing together virtualisation, Cloud and storage technologies, and our continued growth illustrates the success of our vision and execution.